At an ad agency Melanie, who loves Christmas, and Donovan, who doesn't, are paired to make an Xmas ad for a cell phone. 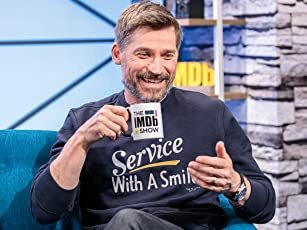 They also get to be each others secret Santa at the office and learn more about each other. Will it go beyond that? Grace is thrilled to be taking over the town's Christmas parade, but when the man playing St. Nick breaks his arm, she needs to find a replacement, even if the replacement is unwilling. Nick: The further you get where you started, the closer you get where you belong. Nick: Christmas wishes are like baking cookies. Sometimes it takes a while to get the cookies fully baked. If you like corny and sappy and Christmas on steroids, then you will probably enjoy this. 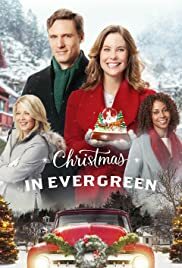 Girl meets boy who has a little girl and the little girl wishes she and her dad would get stuck in Evergreen for Christmas. Sadly, that is pretty much the story. There is an existing boyfriend for Allie and there is really not much wrong with him other than he is serious about work and appears to be one of the upper class. He shows up unexpectedly. There is almost nothing in the way of surprises. There is a hint of real Christmas magic, but not displayed outright. There is nothing special about the acting, except maybe that Jaeda Lily Miller plays her part as super cute Zoe very well. Ashley Williams plays the optimistic, cheerful, sweet and generous lady, but it doesn't seem to be acting for her. I also wish her smile made it a little deeper into her eyes because that smile is on her face probably 80% or more of her screen time. As I said, if you want a typical Hallmark Christmas movie, this fits that scheme, but I'm sure there will be those who don't like that kind of thing.